In its 58th year, the 2019 Barbarian Cup will be held in Fergus Ontario on Sunday, June 9th and Monday, June 10th. There will be no admission fees to access the park. The Barbarian Cup is the longest running high school rugby tournament in Ontario. 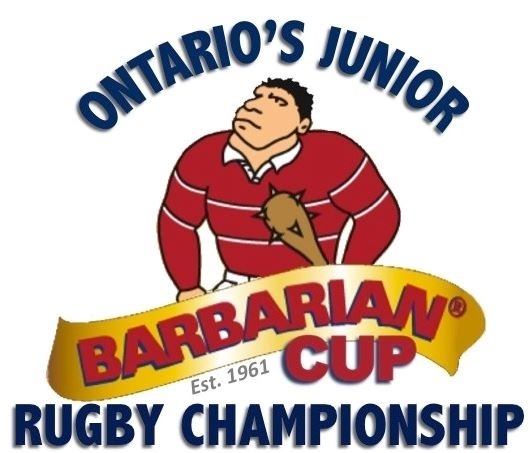 With the generous support of Barbarian Rugby Wear, Rugby Ontario introduced the Barbarian Cup in 1961 as the unofficial provincial championship for junior boys' rugby teams. With the continued support of Barbarian Rugby Wear and other sponsors, the organizing committee will continue to provide grade 9 & 10 student-athletes the opportunity to have fun, develop positive character and learn, while competing at the highest level of inter-school rugby possible. This invitational tournament has seen some of the best male rugby players and teams Ontario has to offer and has recently been expanded to offer open draws for junior girls and bantam boys in an effort to continue to grow the sport. From 2008 to 2013 the York Region Athletic Association assumed the administration of this tournament in an effort to ensure the 47-year history carried on uninterrupted. In 2014 the Bay of Quinte Athletic Association, Belleville Bulldogs RFC, and Fergus Highland RFC committed to taking over the hosting of the Barbarian Cup. Under this arrangement, the Junior Provincial Championship remains the same elite tournament, but the venue will alternate annually East and West between Belleville and Fergus. This gives the opportunity for more schools to participate across the province, and sets the platform for a truly Ontario wide Junior Provincial Rugby Championship for years to come.